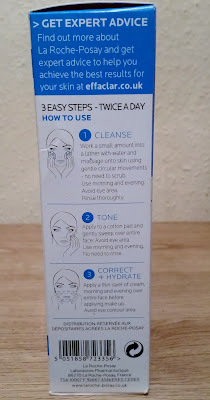 Having a wander around Boots on a recent shopping trip, i was looking for a skin care system that would offer many things than just try and manage one skin problem. Who has the time to use 10 different products to cater for different problem areas. 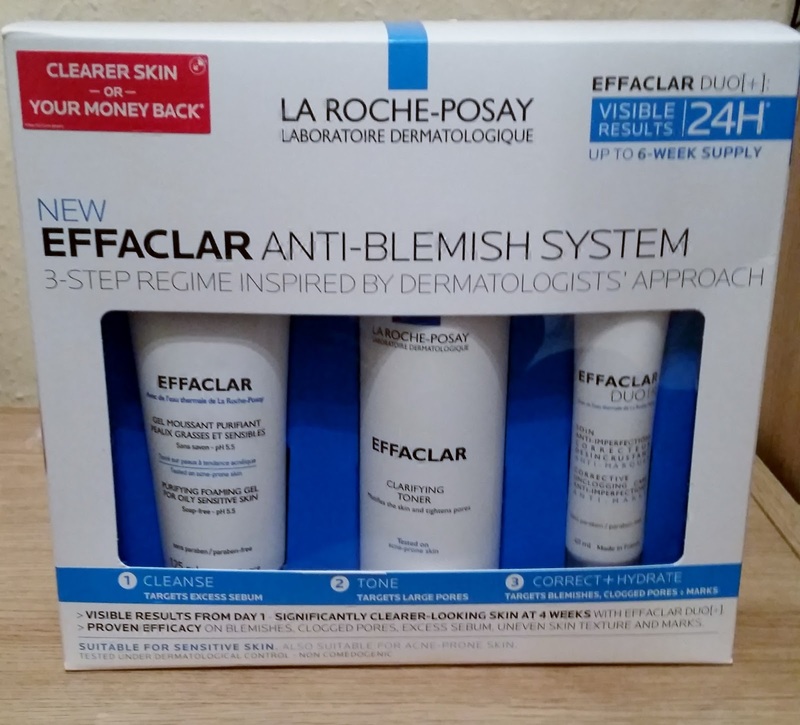 LA ROCHE-POSAY EFFACLAR ANTI-BLEMISH SYSTEM. 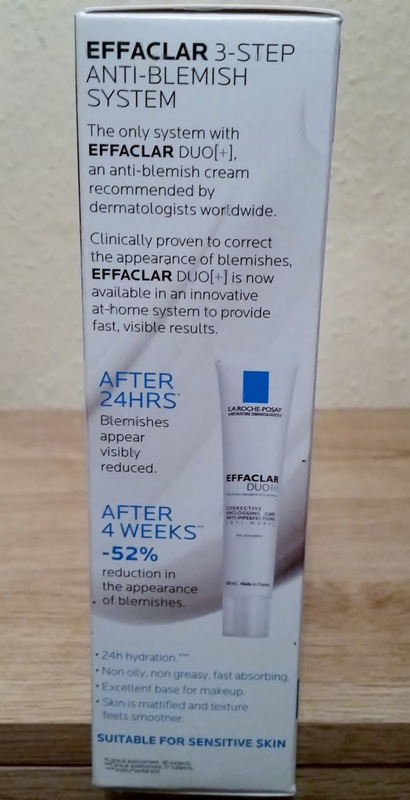 EFFACLAR DUO (+) ANTI-BLEMISH CREAM. In this kit there is a handy booklet that details all you need to know and how to use, which comes in handy if your not sure. 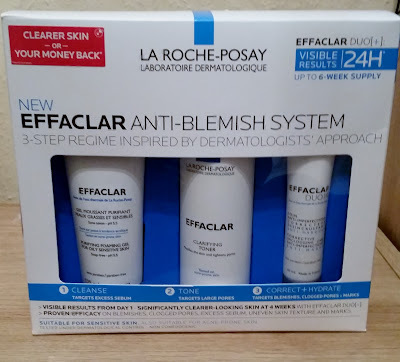 LA ROCHE-POSAY EFFACLAR ANTI-BLEMISH SYSTEM states a simple but effective routine, designed to help you address oily, blemish-prone skin: a skin concern common among women and men, of all ages. 1) cleanse, 2) tone, 3)correct + hydrate, is the basis of any good skincare regime. Tested under dermatological control EFFACLAR 3-STEP is suitable for sensitive skin and also acne-prone skin. 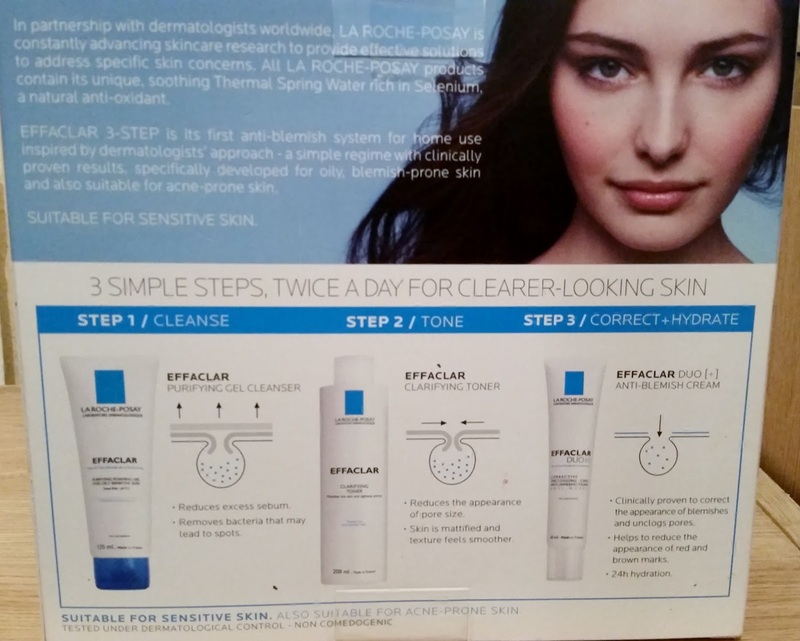 Step 1 : Using the purifying gel cleanser that will reduce excess sebum. Removes bacteria that may lead to spots. I found this to be really cleansing on the skin and during and after my skin felt super clean. The gel is a medium consistency and is clear in colour. Work a small amount into a lather with water and massage onto skin using gentle circular movements - no need to scrub . Use morning and evening . Rinse thoroughly. Step 2 : Tone. The clarifying toner mattifies and smoothes the texture of your cleansed skin. Apply to a cotton pad and gently sweep over entire face. Use morning and evening . No need to rinse. The toner is clear in appearance and reminds me of the micellar water. It does make your skin feel moisturised and able to breathe. The anti-blemish is clinically proven to correct the appearance of blemishes and unclog pores. It also helps to reduce the appearance of red and brown marks. Apply a thin layer of cream, morning and evening over entire face before applying make up. This is a white cream with a runny consistency so a little goes along way. The skin drinks this up and isn't left shiny but more matte. 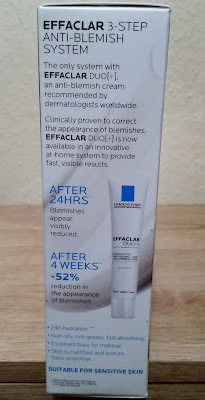 EFFACLAR DUO (+) ANTI-BLEMISH CREAM is looking after your skin and helping you tackle those skin problems u might have. 40ml. Overall this kit is great for those who are suffering with acne or problematic skin and who are looking for some help to combat and give there skin some TLC.